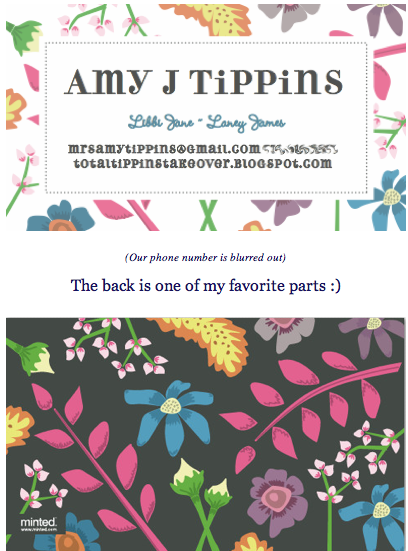 y'all know i love me some personalized paper products (and apparently some alliteration, too-ha!) so when minted contacted me about hosting a giveaway, i jumped at the chance. i've ordered from minted in the past... in fact, one of my favorite items are the "mommy calling cards" i ordered from minted last year. after meeting teachers, new friends, neighbors, and other acquaintances i'm almost out of my cards and i can guarantee you i'll be reordering as soon as possible. and in this pinterest obsessed world, i've seen wedding boards and ideas that would put the professionals to shame. 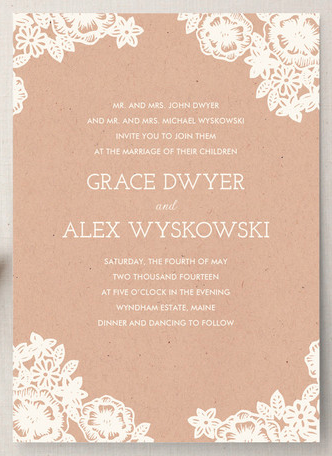 many of the boards and ideas i've see have featured some of the wedding invites from minted. if i were getting married all over again (to jeffrey, of course!) i'd definitely look at minted for our wedding invites and other paper needs. call me crazy, but since i found out we're having another baby girl, i've been all over minted's website looking at birth announcements (and i may or may not be taking notes on some of the baby girl names used). 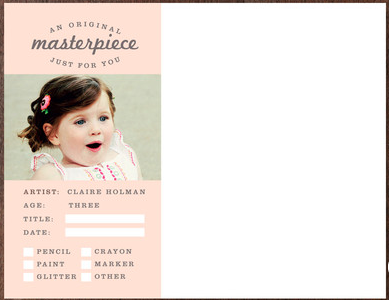 the selection of birth announcements on the minted website ranges from traditional to modern and everything in between. if you can dream it up, chances are - it's already on their site. 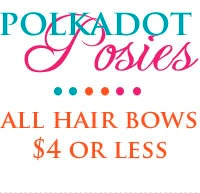 i love this sweet floral announcement - wouldn't it be perfect for a sweet baby tippins girl?! and even better, you can change the shape of the (flat) cards. how fun is that?! scalloped edges, square, frames, the possibilities are endless. i think one of my favorite features that minted currently offers is the FREE (that's right, FREE!) address assistant. 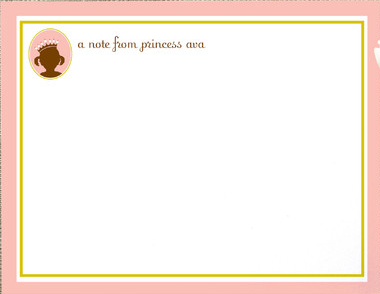 you will receive free recipient address printing with the purchase of your birth announcements! boom. how's that for helping out a new mom? and this? this is probably one of the most creative cards i've ever seen and it's so perfectly appropriate for us! a drawing space for your child along with the description of their creation - genius! entering to win is easy! all you have to do is follow the prompts in the rafflecopter box below and you're good to go. thanks again to minted for their generosity...and their wonderful products! *disclosure: this is a sponsored post. this post may contain affiliate ads. i was given a minted credit in exchange for hosting this giveaway; however, all opinions and text are mine.